Schedule a visit via message or chat on social media. We’ll be up front with you about the costs and the differences between a custom rod and one made by a manufacturer. 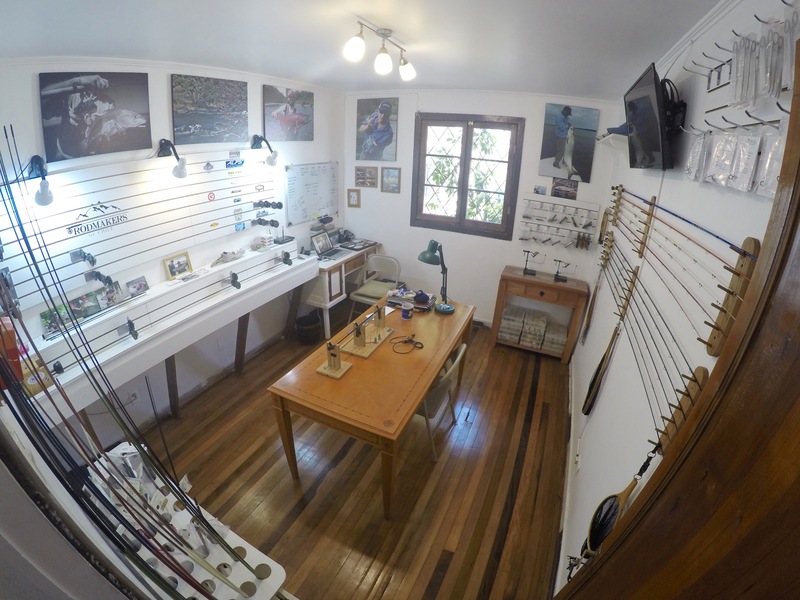 Once you’re here we can draw up the ideal rod for your target species and your fishing style, and we’ll select the desired components- the rod blank, reel seat, guides, and handle material. With a clear vision of what we’re building towards and 50% payment down, we can start the process. Plan on as many visit that will complete 5 hours of steady work time. We’ll start in the Wood Room where we prepare the reel seat for assembly and the cork rings to fit on your rod blank. Then these will be glued and set into a vise. While waiting for adhesive to dry in the handle assembly we can start practicing on the thread work. Back again to the handle now that the adhesive has cured, we can take the rod to the lathe for shaping. Back to the thread-work to fix the guides onto the rod. Thread wraps can be as simple or as complex as you desire. We will teach you everything you need to know. The finishing touches of clear coat will be done by our practiced hands. We will celebrate the defining moment with a complimentary protective rod sock. 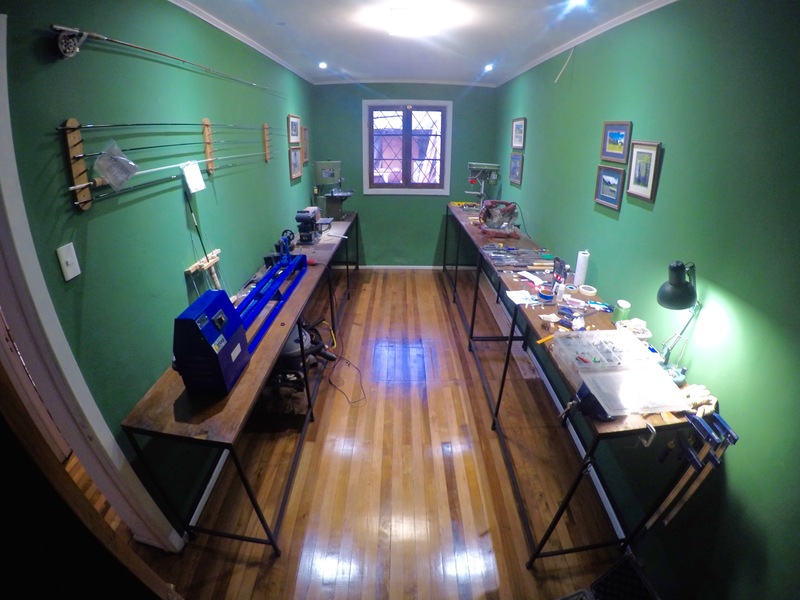 We look forward to sharing our vision of a small custom rod shop in the shadows of the big city. We hope to see you soon. Here’s a different look at our Basic Rod Building Course. The cost of the course is A, the total of the components you choose for the rod; plus B, the course fee of $100.00 US Dollars (Exchange in CLP upon starting).